Luxury fashion label Balmain has unveiled a new flagship on the prestigious Rue Saint-Honoré, a short distance from where the brand’s founder, Pierre Balmain, opened his first atelier in 1945. The motive behind the space is to make Balmain more global whilst honouring its Parisian heritage. The space is designed to mimic a Parisian apartment – a popular trend amongst concept stores – to create a sense of intimacy that you would experience if you could shop in your own home. You can wander through the library and browse the season’s hero pieces or find accessories in the game room, complete with gambling table. Balmain is also tapping into omnichannel by displaying a large screen that will feature brand content, including campaigns and shows. Customers can also sport Oculus Rift headsets to transport themselves into a virtual world. This new store shows that luxury fashion can merge with current trends whilst still maintaining authenticity. Another retailer following the trend of apartment-style spaces is boutique store Merci; lovers of beautiful and useful everyday objects. Since its successful pop-up experiment in a house in Montmartre the team has spent two years working on a way to expand its lifestyle philosophy. This sprawling three-level industrial space on Boulevard Beaumarchais has been touched up but maintains its original aesthetic where it can. Everything that isn’t nailed down is available to purchase but you can only visit by appointment. The decor is constantly evolving and the space itself is very much a work in progress. You cannot just think of this as a store; it can be hired out for dinner parties or it’s a place for design students to hold conferences. 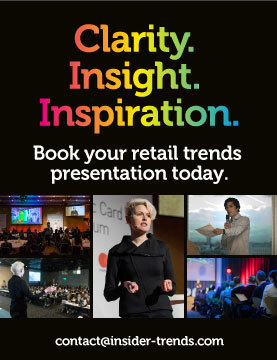 The point here is that the space doesn’t need to be defined – it can be flexible and grow with the brand. High-end French fashion retailer Galeries Lafayette has opened a new flagship store on the Champs-Elysées that is focused on digital technology. Customers can use the Personal Stylist app to create a profile and gain access to the store’s 300 personal stylists. The stylists themselves are provided with ongoing training to be able to advise you on trends and an instant-messaging service with customers enables them to have an ongoing relationship. Galeries Lafayette has also introduced ‘smart hanger’ technology which customers can use to order particular sizes, find out what’s available and have the products waiting in the fitting room ready to try on. 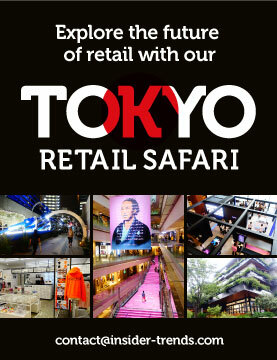 This new store follows the trend of department stores trying to pitch themselves as day-trip destinations, and is clearly a space for Galeries Lafayette to test new and innovative retail strategies. Following the trend of alternative dealership models, Nissan has opened a new space in a busy shopping centre in the suburbs of the French capital. Armed with the knowledge that car buyers usually know what they want before turning up to a store, staff are there as advisors rather than salespeople. The ‘Intelligent Mobility Ambassadors’ are not traditional shop assistants and instead have backgrounds in music, technology and art. They will show customers Nissan’s vision of how cars should be driven, powered and integrated into society. In order to help customers embrace the new technology the showroom has 88 sq metres of display screens. There are five spaces for test-drive handovers and as an added bonus your new car can be delivered to another Nissan dealership or your home, adding even more convenience. French luxury fashion brand Celine has launched its first ever menswear boutique on Rue François. The store’s aesthetic is made up of natural stone juxtaposed with backlit ceilings and display units. The trend for making stores work as gallery spaces is displayed here with an extensive collection of art ranging from a Rindon Johnson cube sculpture to a symbolic piece by Slimane. 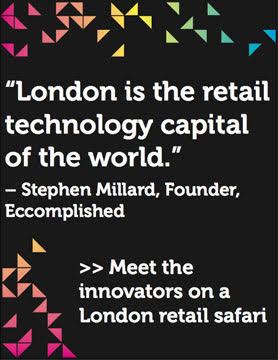 The brand has also refreshed its flagship store as part of its international expansion plan. The store on Rue de Grenelle has art at the forefront too, with a ‘’Mobile Floor’’ installation by artist Oscar Tuazon. High-end Italian food market and restaurant chain Eataly is opening a new outlet in the Marais district. The store includes a Neapolitan-style coffee shop and an ice-cream parlour. There is also a bakery selling a wide range of pizzas and foccacia. The open-air market selling top Italian produce will no doubt be a major pull for food-lovers. For those that really enjoy cooking, there is an Italian cooking school for them to brush up on their culinary skills. Like other innovators in this space, Eataly has recognised the value of experience in helping to sell its products, and its brand. Want to do Paris’ retail scene right? 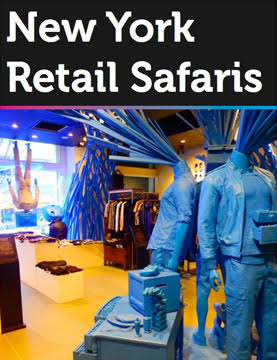 Let us plan a bespoke retail safari that takes you to the spaces that inspire. Want to know more? 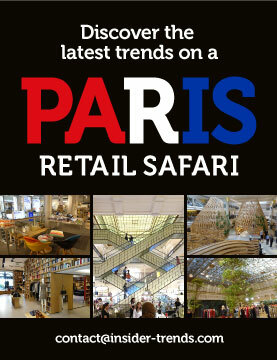 Check out our seated Paris retail safari for a small taste of the trends on offer.